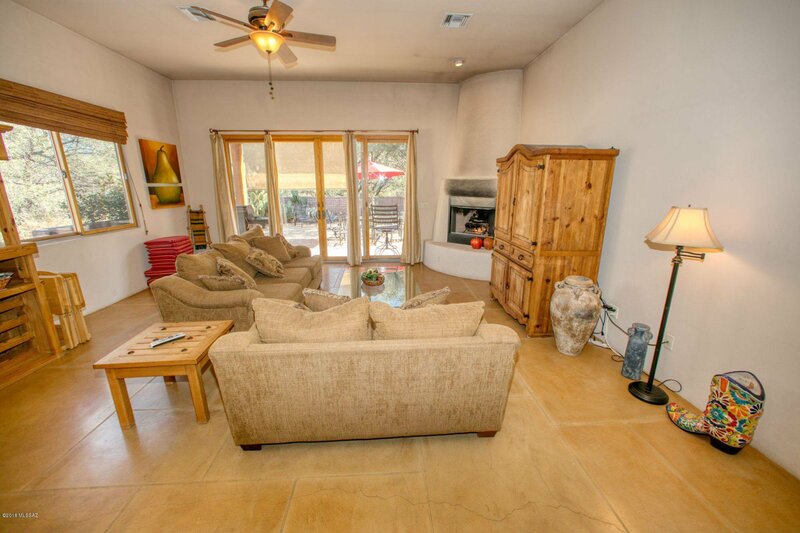 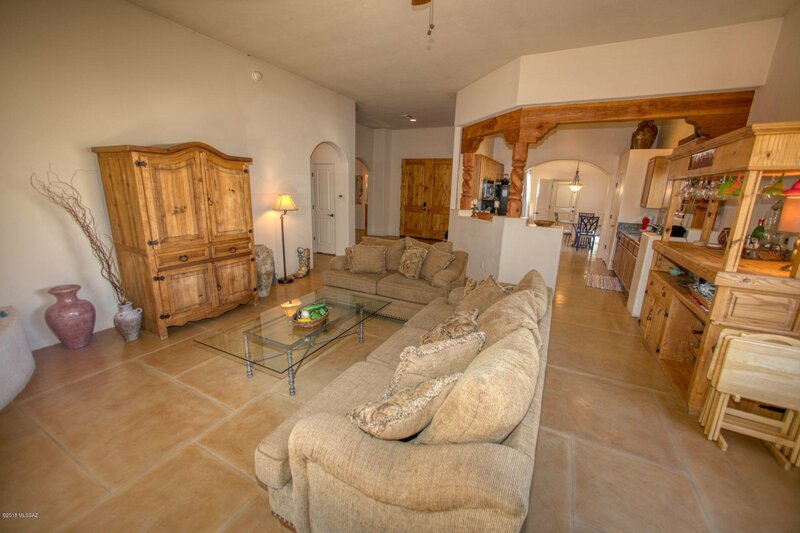 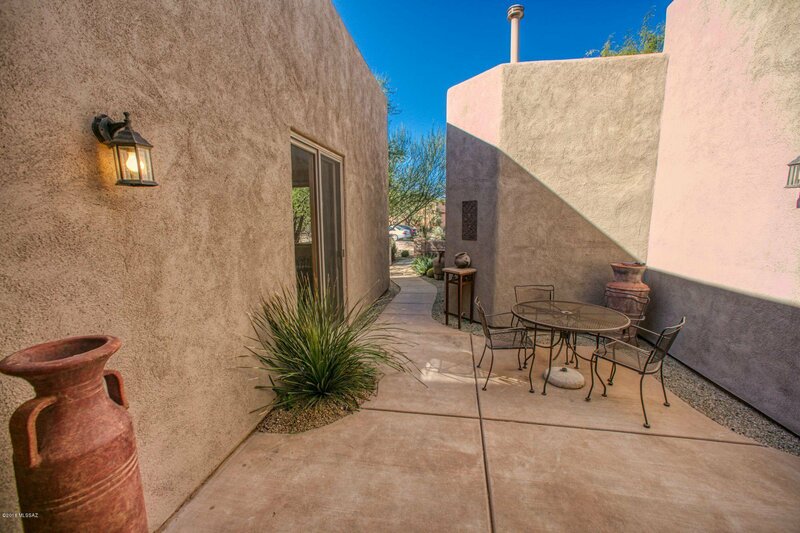 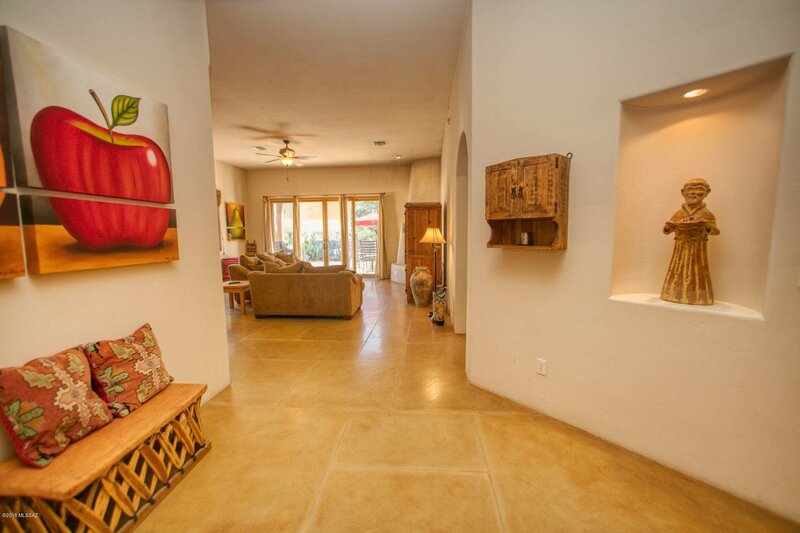 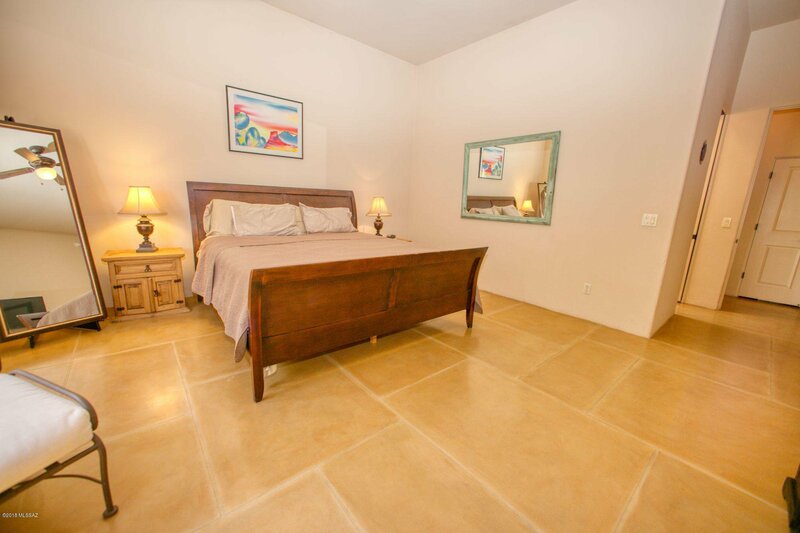 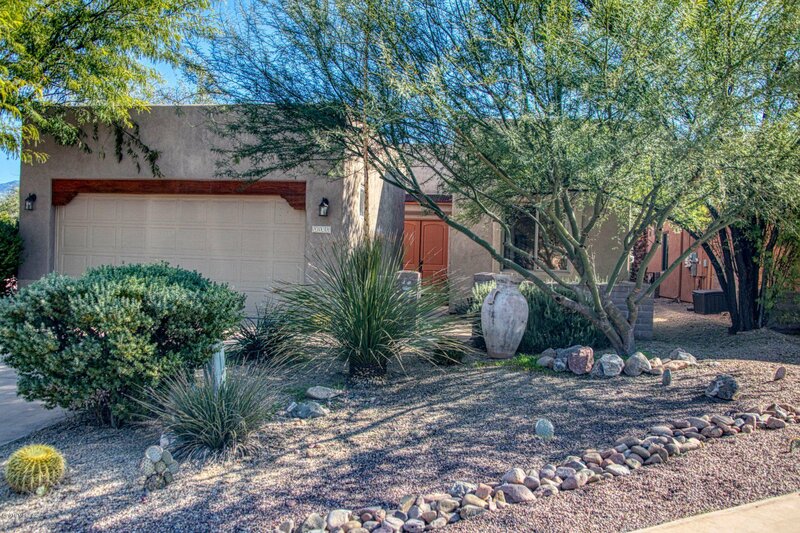 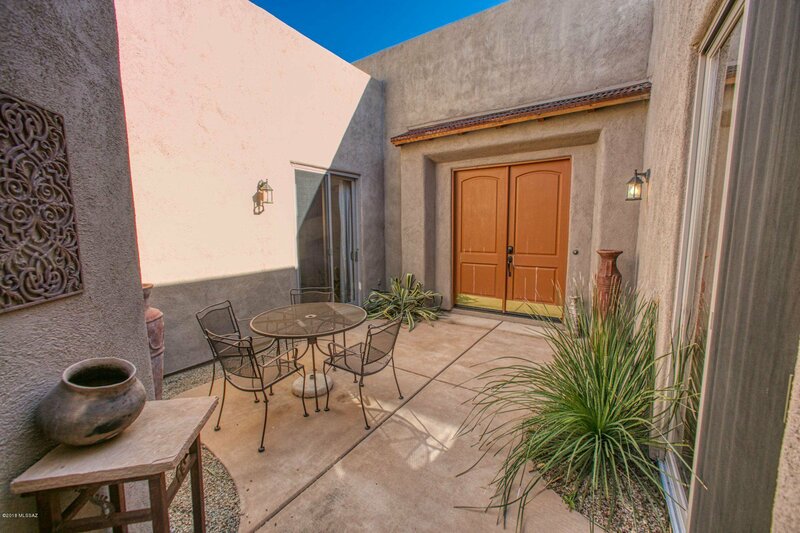 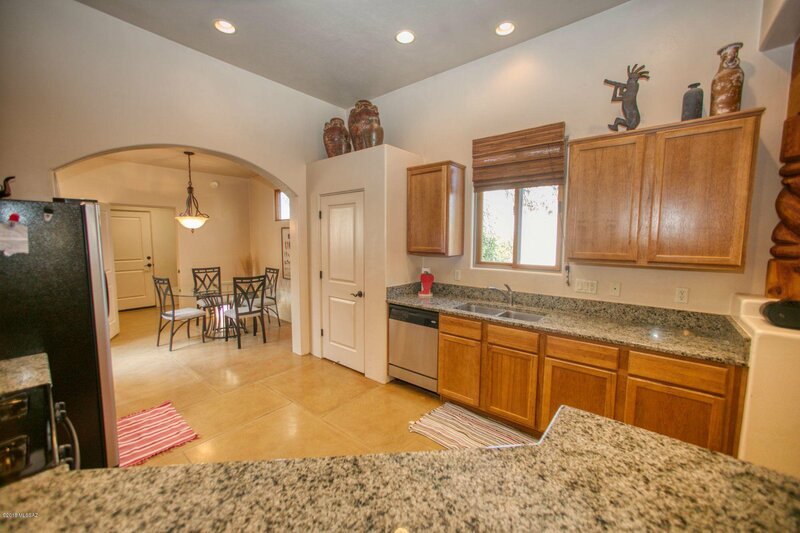 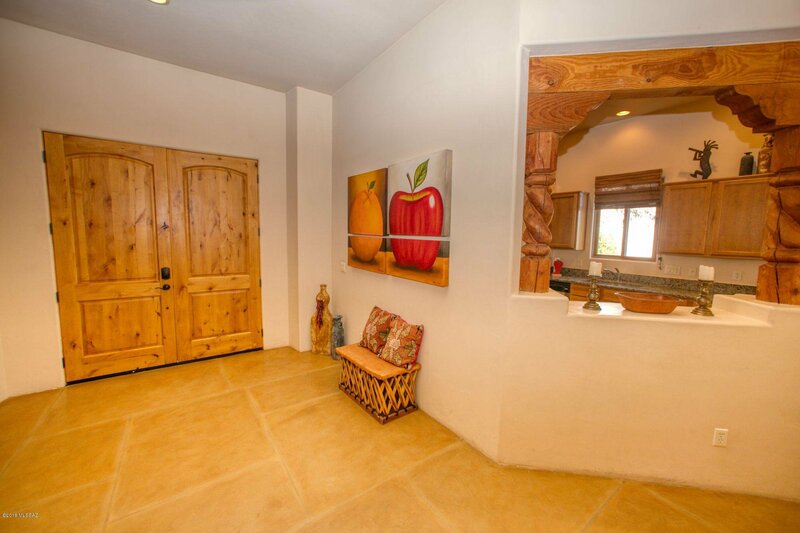 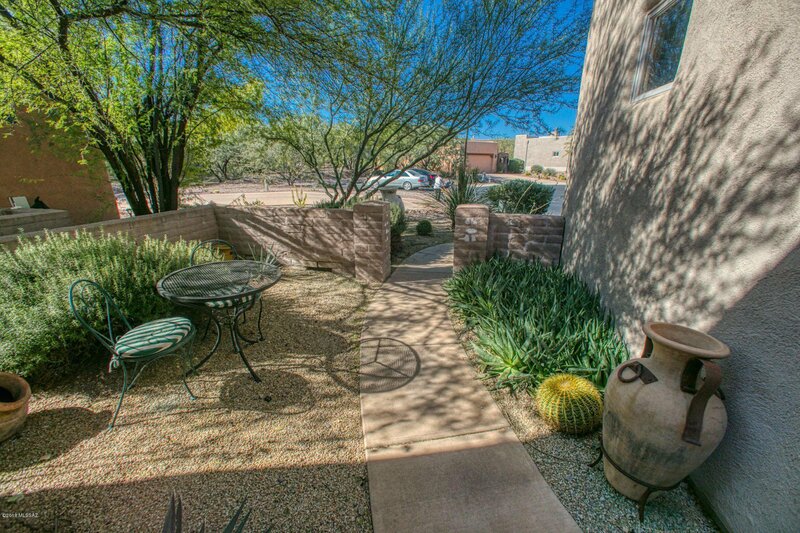 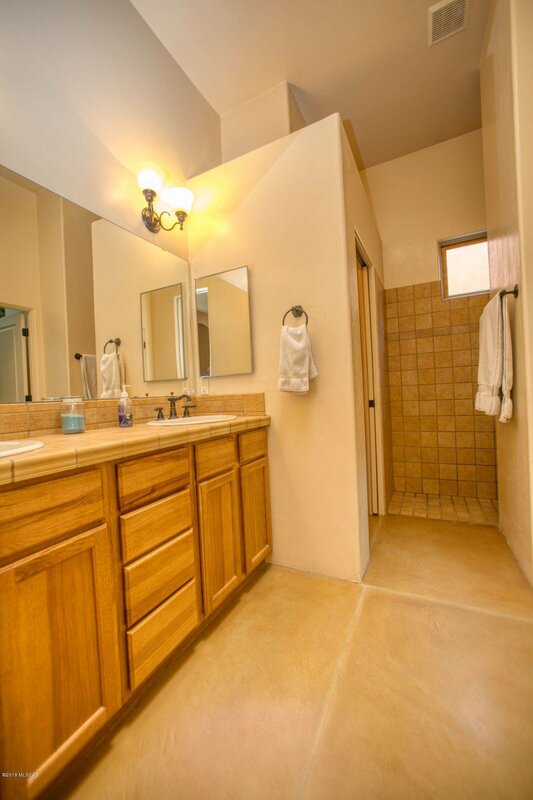 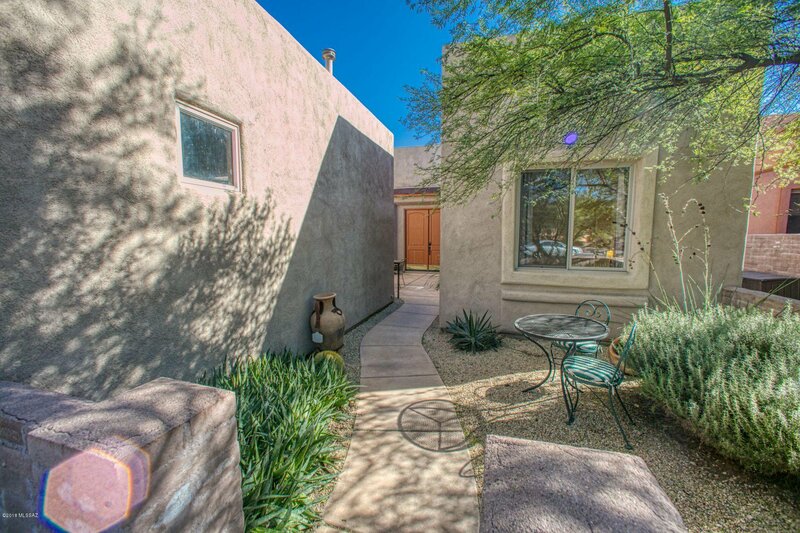 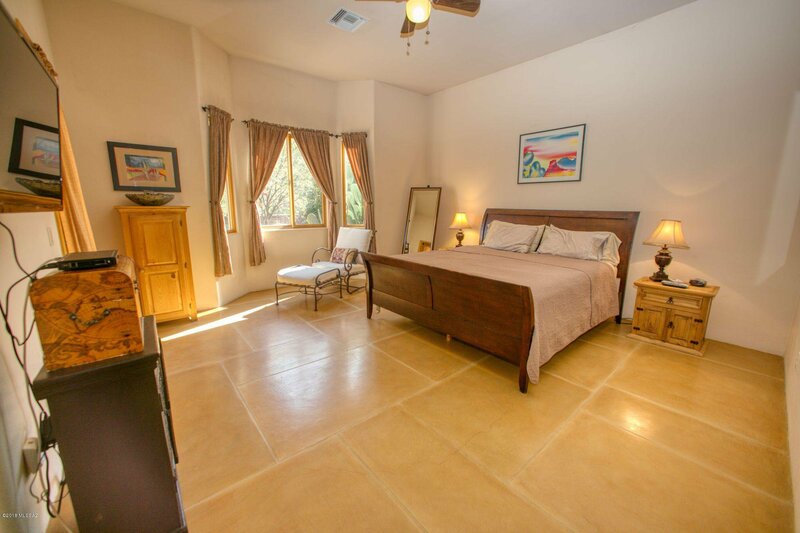 This home is one of the very best lots in all of the Barrio de Tubac community! 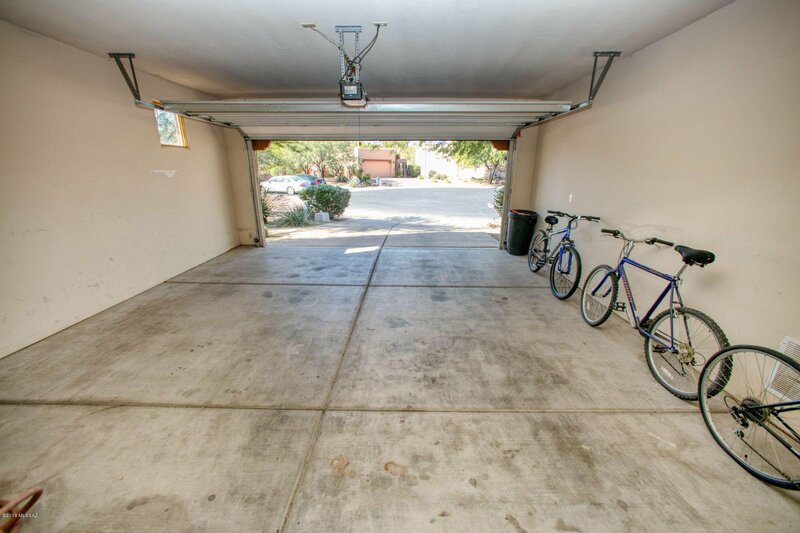 The generous lot on a quiet traffic free cul-de-sac backs up to a nature preserve with grand mesquite and cottonwood trees lining the famed de Anza trail. 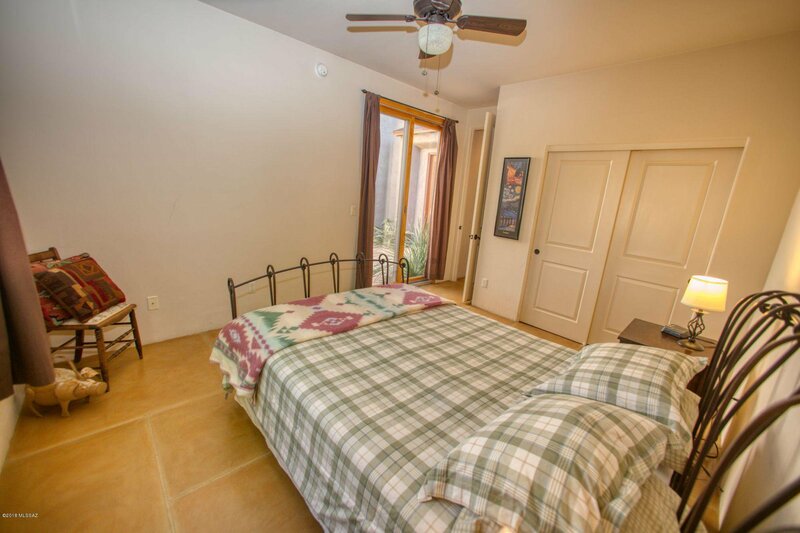 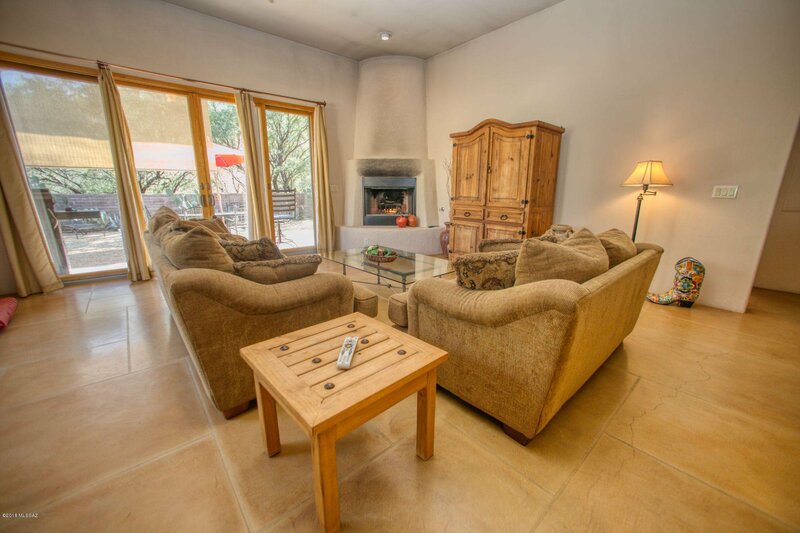 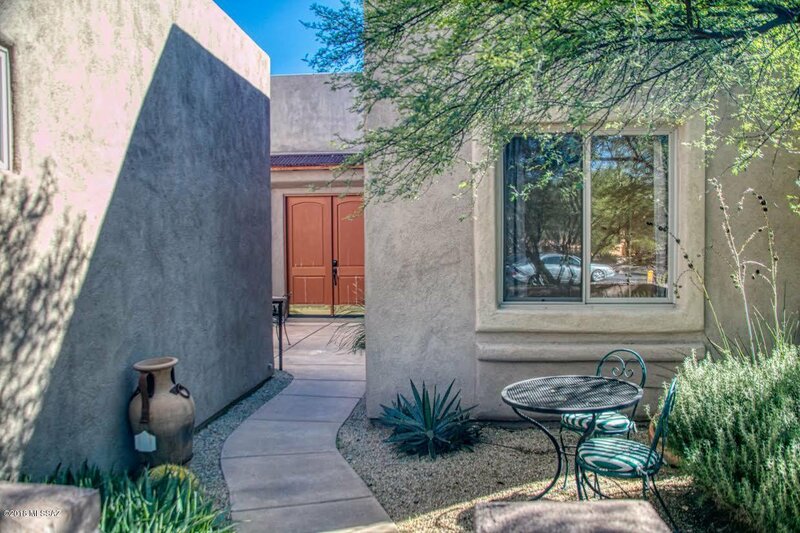 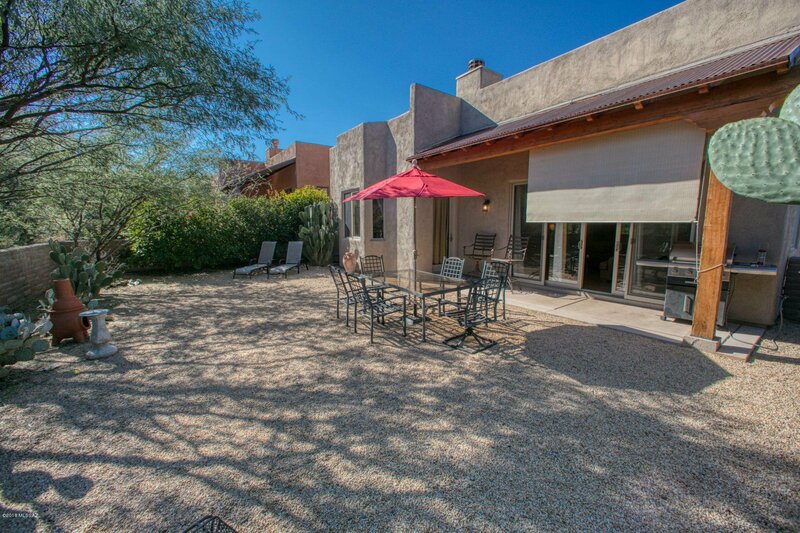 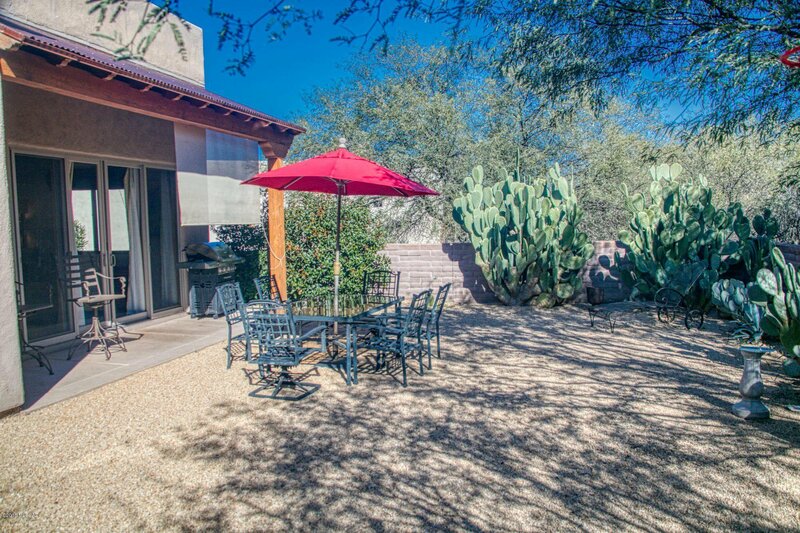 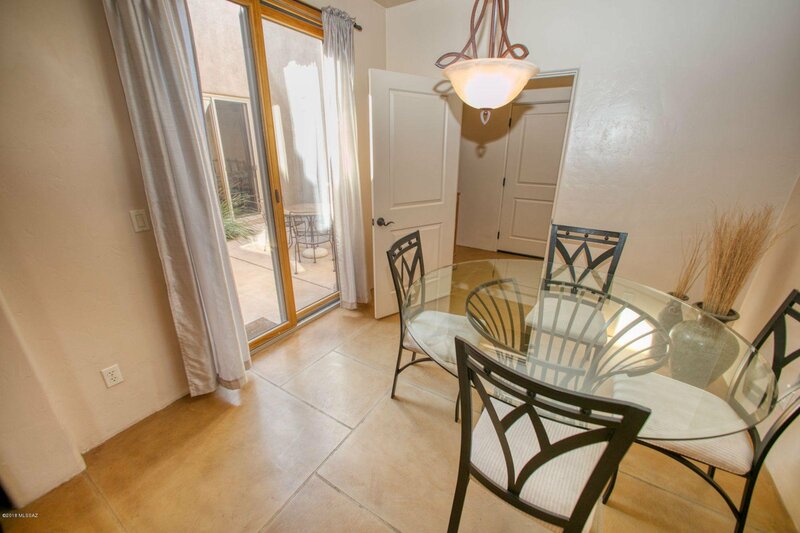 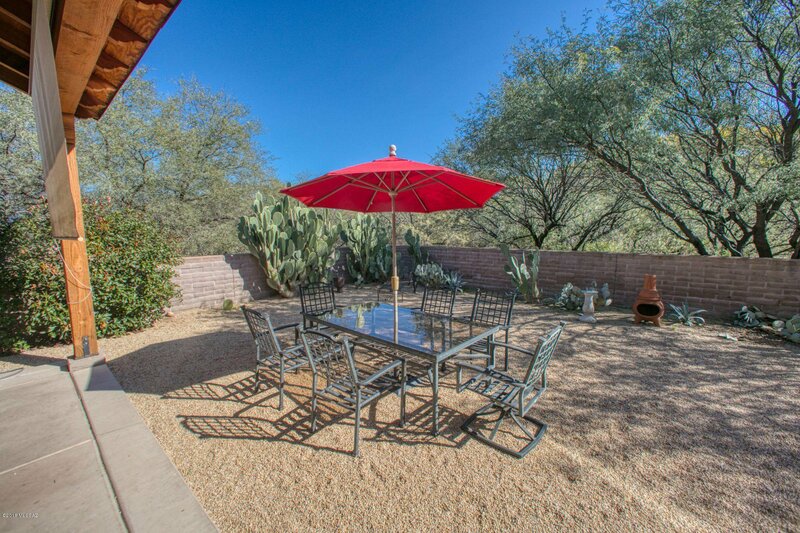 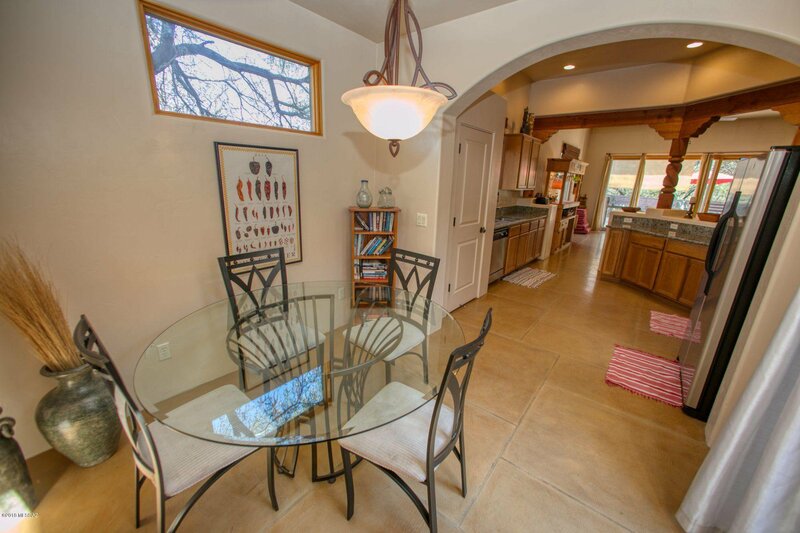 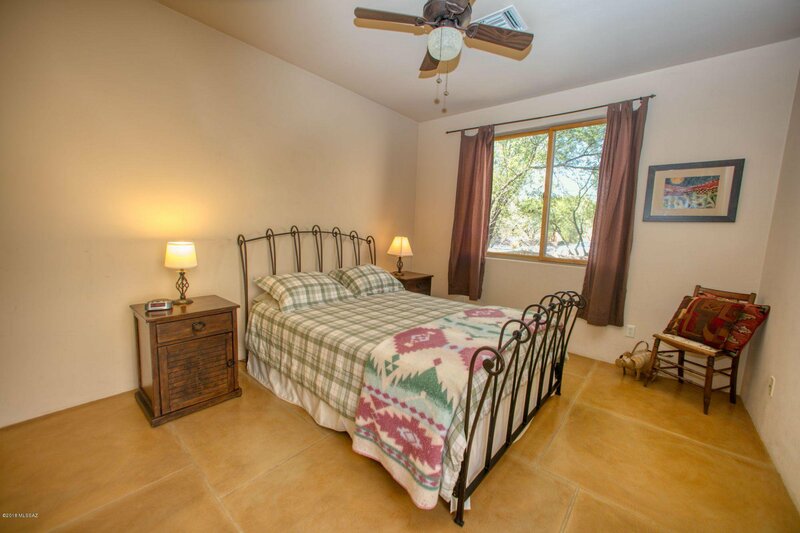 You will feel miles away immersed in views of nature and the mature backyard plantings, yet have the convenience of being less than a mile to the charming Village of Tubac. 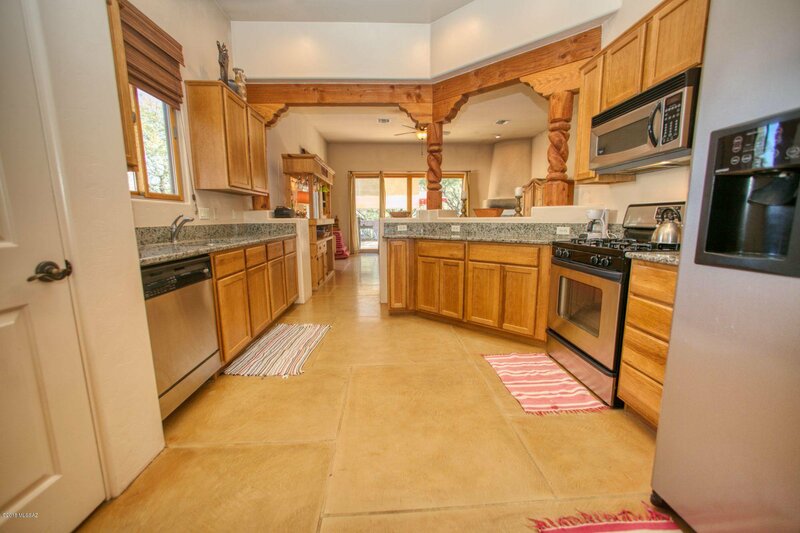 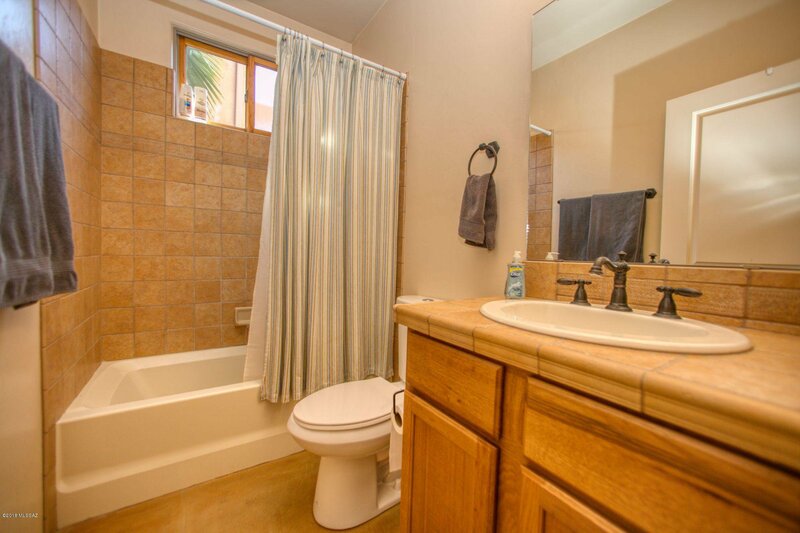 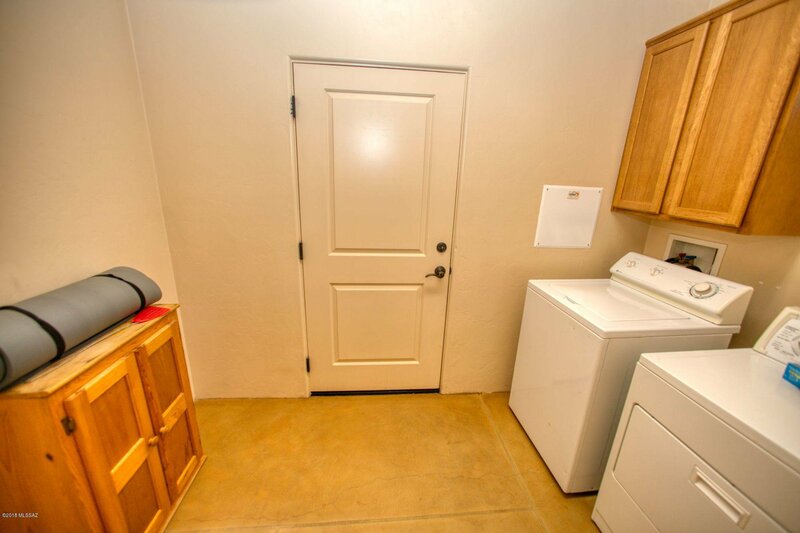 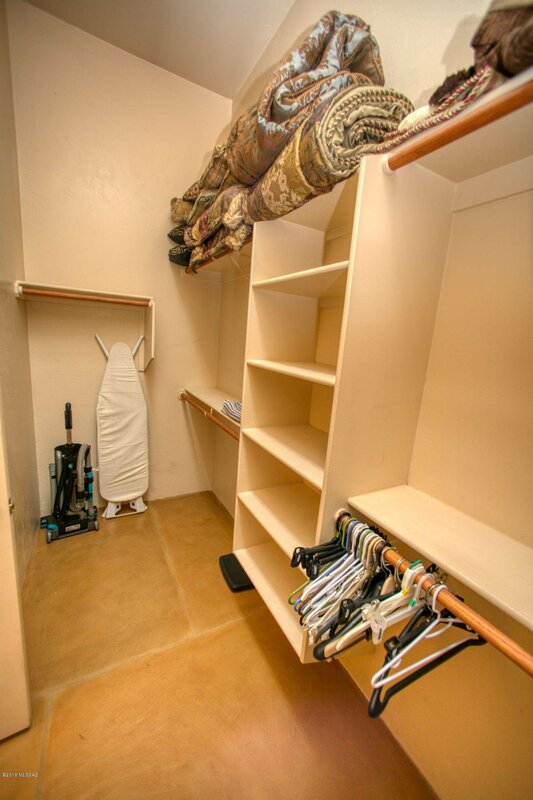 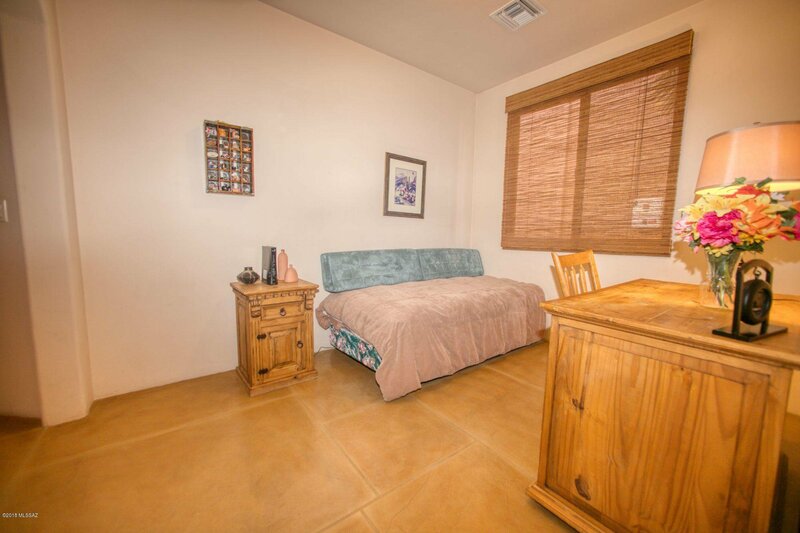 Many upgrades include gorgeous, easy-care custom scored concrete floors throughout, stainless appliances, granite countertops, traditional kiva fireplace and fully tiled bathrooms. 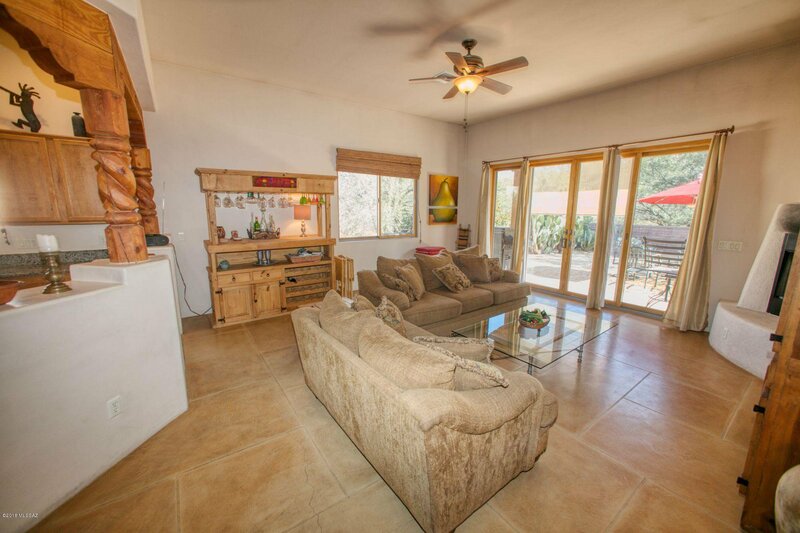 A wall of windows with large sliders in the great room bring the gorgeous views right into the home, providing a perfect place to relax and enjoy the privacy and beauty of your home in the Southwest. 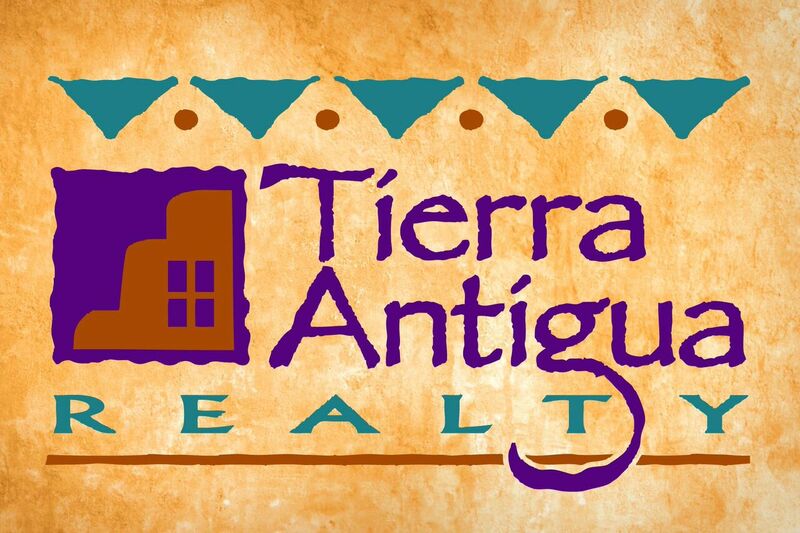 I-19 to Tubac Exit 34 to East Frontage Road; across Frontage Rd to 1st R on Tumacacori, then 2nd Market Circle L to Sutter Place, R to property.